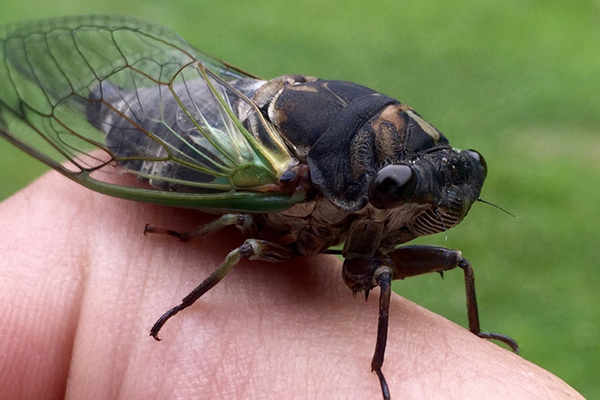 While some of the animals of the Great Swamp—such as deer, opossum, foxes, eastern cottontail rabbits and eastern coyotes—are common throughout the state and region, others are rare and have specialized habitat needs. Bobcats, otter, and black bears, for example, need large, interconnected, undeveloped sections of forest and wetlands to survive. 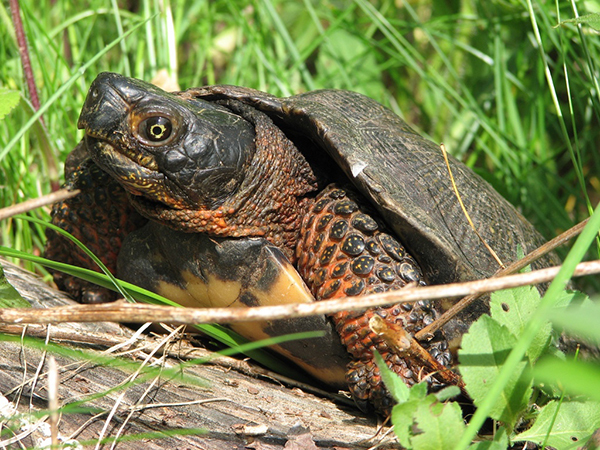 Still others, such as the bog and wood turtle, have special habitat needs; and salamanders and wood frogs need unfragmented corridors to get safely to their breeding places. 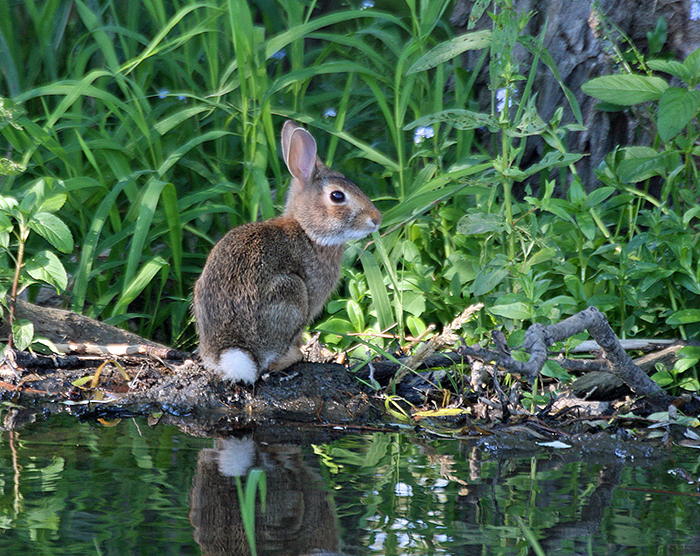 The New England cottontail rabbit needs a hard-to-find habitat, the type provided by regrowth on the edges of a cut-down forest. The Great Swamp provides marsh, pond, vernal pool, floodplain forest, fen, shrub swamp, bog, river, stream, and upland forest habitats. 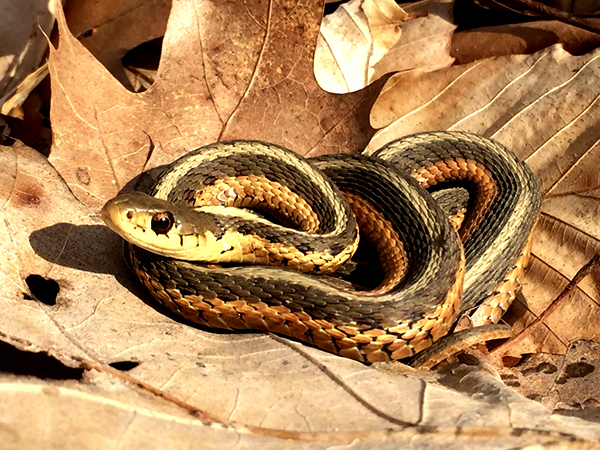 Like amphibians, many reptiles make good indicator species because they can only live in certain habitats and are sensitive to changes in those habitats. 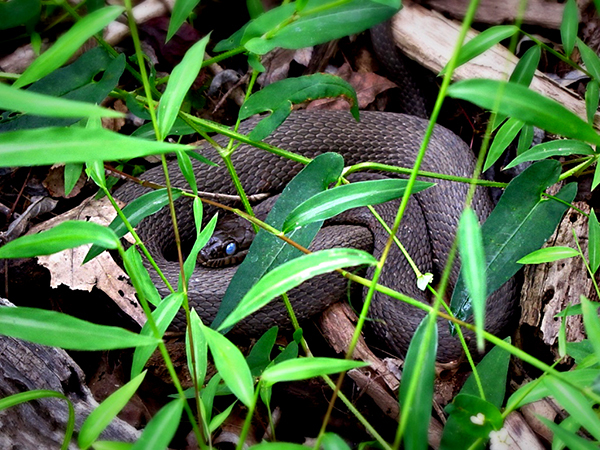 Turtles and snakes that depend on the Great Swamp’s habitats include common ones, such as the snapping turtle, painted turtle, and Eastern garter snake, and rare ones, such as the bog turtle, wood turtle and timber rattlesnake. Several board members initiated a program to track some of the rare turtle species (bog, wood, and Eastern box) with radio telemetry in order to determine their travel routes and nesting, hibernating and reproductive behaviors in the Great Swamp. 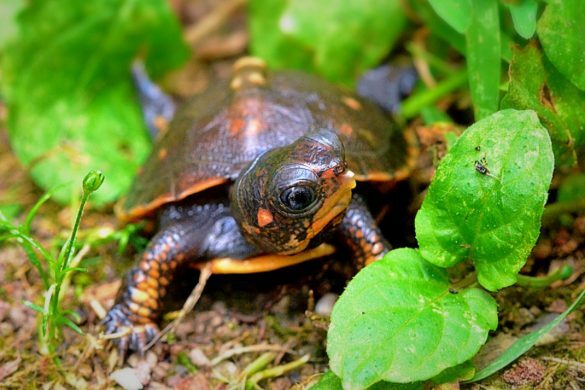 Using the data collected, board member Michael Musnick was able to design predator excluders for wood turtle nests and convince MetroNorth to build ramps to help turtles get across railroad tracks to their nesting sites. We have both water and land mammals. 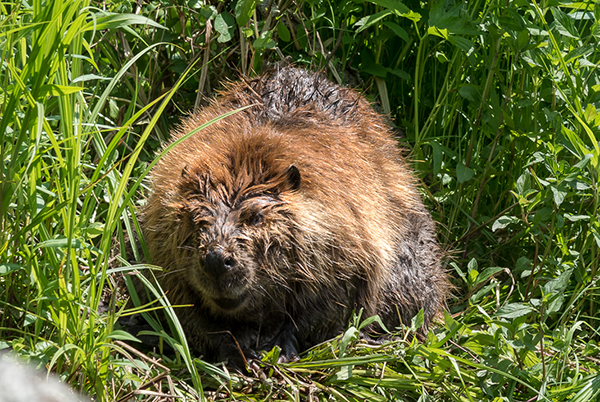 In the water and near the water’s edge, you might see otter, beaver, mink, and muskrat. In the forest and on its edge, you might see bobcat, bear, coyote, fox, fisher, deer, rabbits, or any number of other small mammals. We are trying to protect the wetlands and their edges as well as the upland forests and their edges to help these animals have the habitats and hunting corridors they need. Some of the large mammals traverse the ridges for many, many miles as they hunt. Amphibians need water for the first stage of their life, and the Great Swamp watershed supports several species of frogs and salamanders. Some of the nine different salamanders found here are species of special concern like the Jefferson and Blue-spotted, while many of the seven kinds of frogs are common like the Green Frog and Pickerel Frog. The newly identified and unusual Atlantic Coast Leopard Frog has been found here as well. 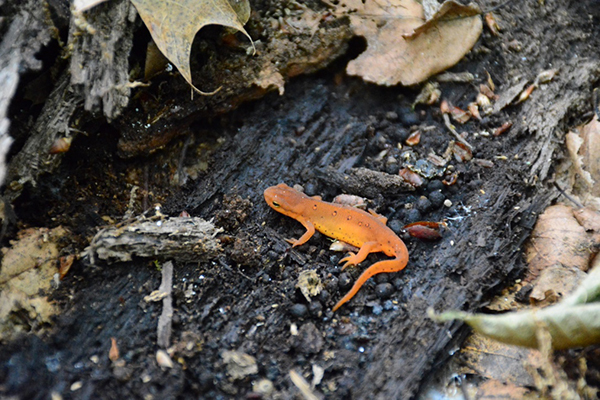 Above the flood plain in the upland forests, breeding pools provide egg-laying sites for those amphibians that need the absence of fish to thrive. 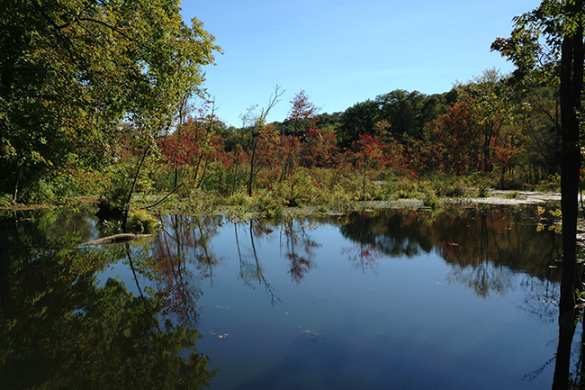 Vernal pools support populations of Jefferson, Blue-spotted and Marbled salamanders, and Wood frogs, Spring Peepers, and Gray Tree Frogs. 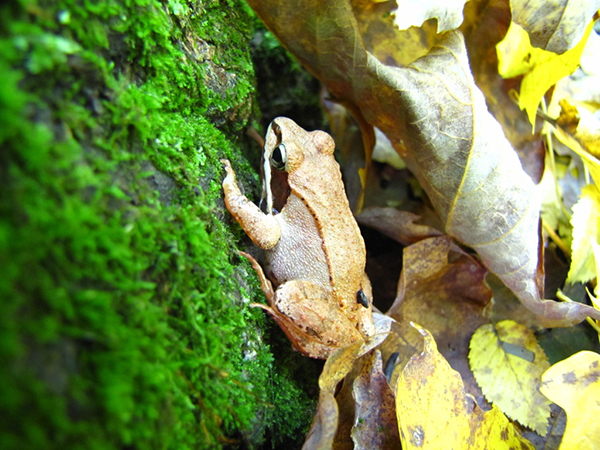 An amphibian’s skin absorbs air and water; this makes them very sensitive to air and water pollution. They also need distinct habitats which makes them good indicators of habitat health. 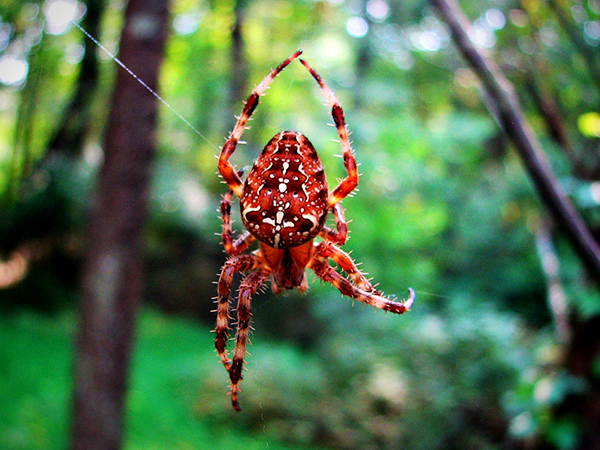 Thousands of species of insects live in the Great Swamp. Many of them spend part of their life cycle in the water. Their presence is directly linked to quality of the water and therefore they can be used gauge stream health. 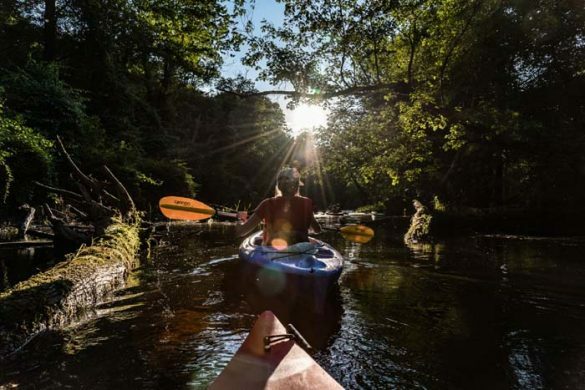 Mayflies, Caddisflies, and Stoneflies of many different species are found here. 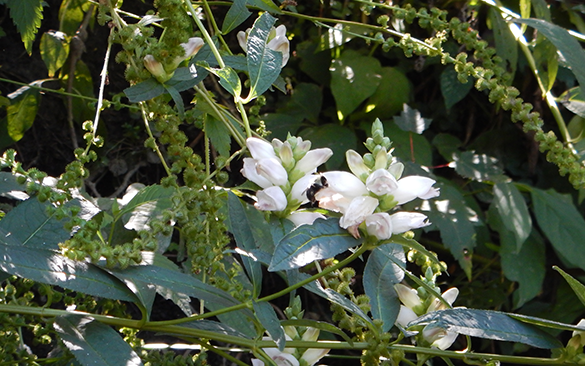 Surveys of several groups of insects have been conducted. 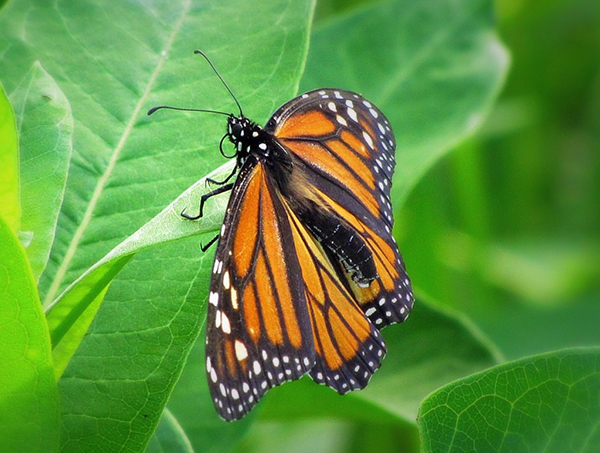 Over sixty species of butterflies use the Great Swamp as larvae or adults, including many skippers, fritillaries, and swallowtails. Some of the butterflies are quite rare regionally including the Northern Metalmark, Falcate Orangetip, and Dion Skipper. Dragonflies and damselflies are abundant, with almost twenty types of damsels and twice and many dragons found here. They are both indicators of water quality and their presence can be used in freshwater assessments. Bees and wasps have also been surveyed including both social and solitary species. Almost twenty different kinds of native bees and twenty native wasps call the Great Swamp home including miner and leaf cutter bees, and potter and aphid wasps.